A fitting description, for sure. 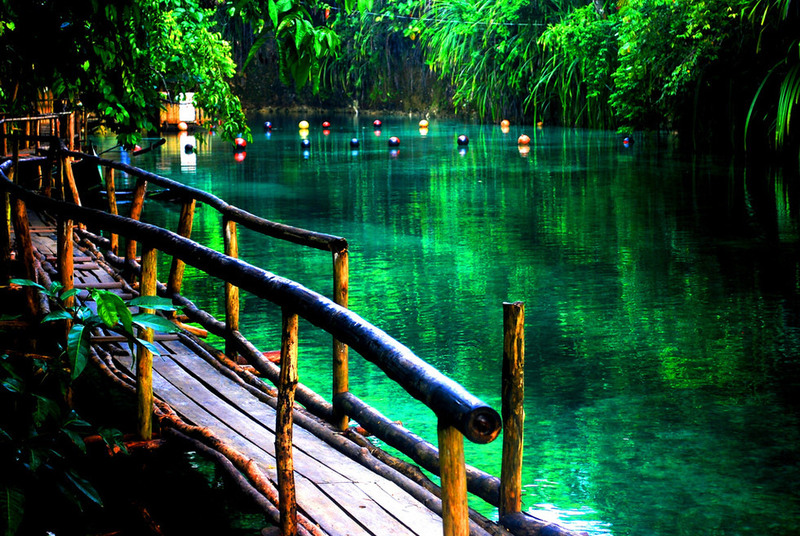 If you’re planning a trip to the Philippines, make sure you include this mystical river as part of your adventures. With stunning coloured waters and countless question marks surrounding how this beauty came to be, it’s a must-see for anyone seeking the supernatural. 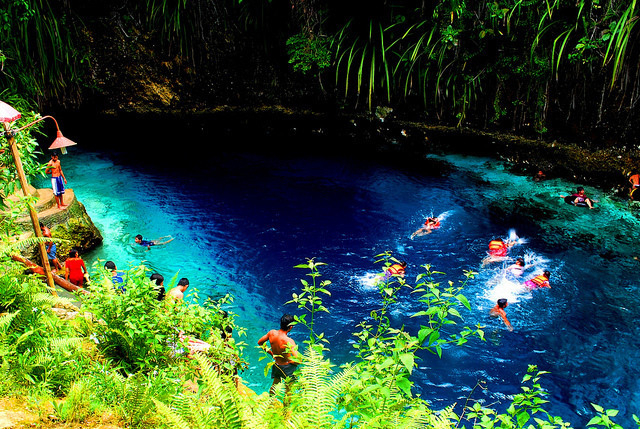 The Hinatuan Enchanted River in Mindanao, Philippines, is a saltwater river that flows into the Philippine Sea and the Pacific Ocean, and is famous for its clear blue-hued tones and mystic history. At around 15 metres deep and 300 metres lone, it’s only just long enough to be considered a river by general conventions. 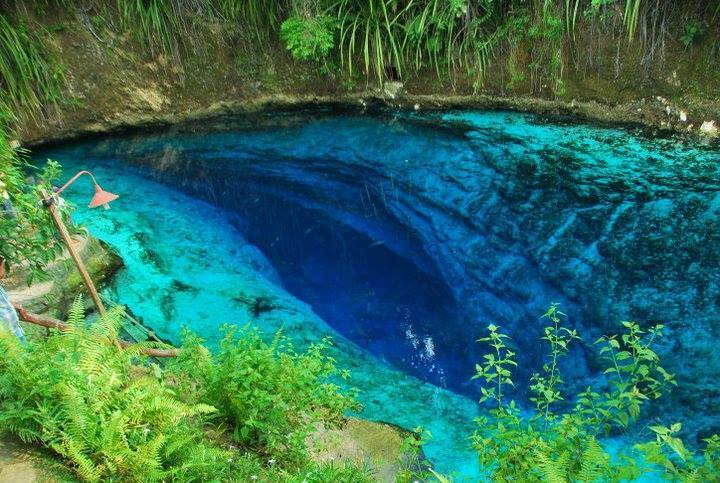 It’s been given its nickname of the “enchanted river” from a poem called “Rio Encantado” by Modesto Farolan. While no one is exactly sure where the salt water comes from, it draws travellers from around the world for its hailed mysticism. There are a number of stories associated with this magical place, all hailing from local legends. Some believe fairies added sapphire and jade to the river to give it its stunning hues, while others believe no fish from the water can ever be caught. It’s also said to be haunted by spirits that protect its life source. 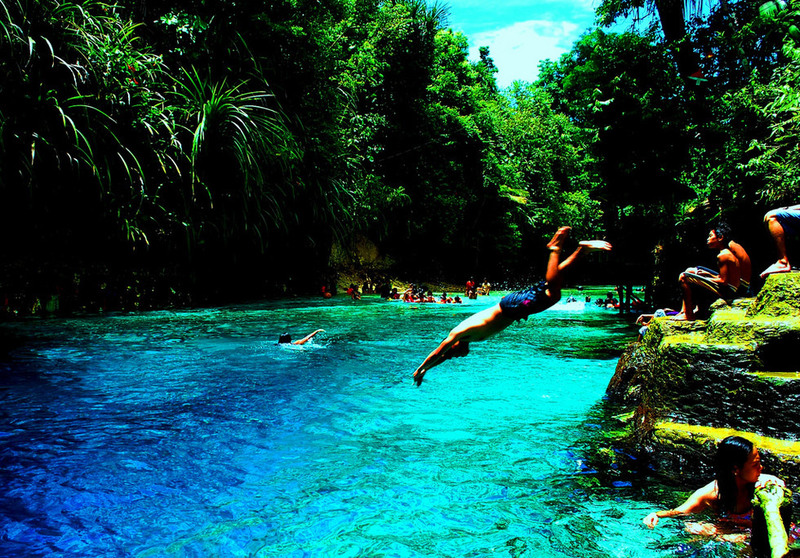 To get to these enchanted falls start in the town of Hinatuan. While you’re in that neck of the woods why not pop off to this restaurant at the base of a waterfall, too? Check out Qantas flights to book your next adventure in the Philippines here.